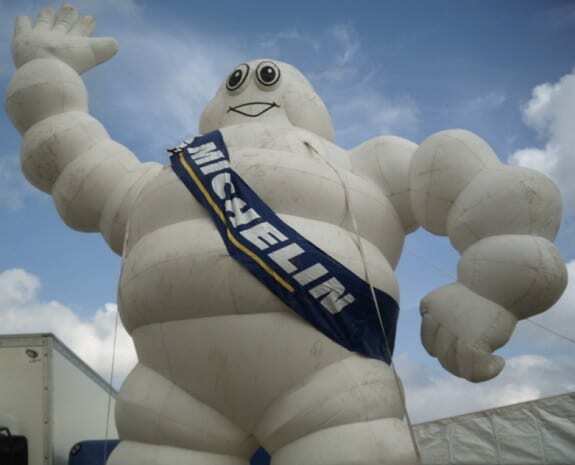 Acclaimed tire manufacturer Michelin is looking to expand beyond the tire business. The company has announced that it has purchased a significant minority stake in Symbio FCell, a French developer of hydrogen fuel cells. While Michelin’s primary interest for the past several years has been manufacturing tires for vehicles, the auto industry has been putting more focus on fuel cell technology. Companies that associate with the auto industry are following this trend as well, and have been paying more attention to what is happening in the field of clean technology. Symbio FCell develops a range of fuel cell systems that are used for transportation. One of its more popular fuel cell products is used as a range extender for the Renault Kangoo ZE commercial utility vehicle. The company’s fuel cell range extenders have been approved for use throughout the European Union and have even been adopted by the French postal service. Michelin sees a great deal of promise in fuel cells, especially those produced by Symbio FCell, and has opted to show support for these energy systems. Michelin has done research and development work on fuel cells in the past and has shown a serious interest in clean transportation. The company plans to place Symbio FCell in its Incubator Program Office, which has a specific focus of promoting innovation and encouraging business growth. Michelin believes that it can benefit from the experience of Symbio FCell as it begins to become more involved in the clean transportation space. As a whole, the auto industry has been moving toward clean transportation for several years. Fuel cells are becoming one of the most appealing tools in achieving various clean transportation goals that automakers have set for themselves. These energy systems may even one day become more popular than the lithium-ion batteries that are already quite prominent within the transportation market.